West Virginia holds the unique distinction of being the only state designated by presidential proclamation (that would be courtesy of Abraham Lincoln). But that's not the only unique quality of the Mountain State. It's where the first steamboat was launched (1787) and where the first "Mother's Day" was observed in 1908. For shoppers, West Virginia was (sadly) also the first state to have a sales tax. To take the stress off, it's also where the country's first spa was established in 1756. There are a ton of fantastic attractions in West Virginia, ranging from natural wonders to historic sites and astounding manmade creations. Here are 20 to check out. Ever since the days of the earliest settlers, the springs have been known for their healing powers. Even George Washington took a dip. 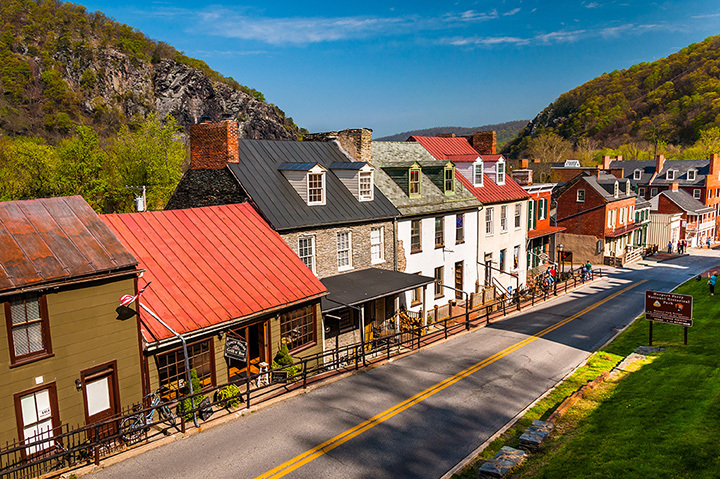 This historic town was a flashpoint during the Civil War, first, when abolitionist John Brown attempted a slave uprising - then when its strategic location led to it changing hands eight times during the conflict. This clear, clean enormously popular lake attracts everyone from swimmers and boaters to divers who love to explore its 300-foot depth. It's also the largest lake in the state. Dive in! This amazing "footpath" is a little over 2,000 miles, winding through several states- but you can check in for a taste of it in West Virginia. Much of it winds through some of the most historic parts of the state - and you'll get some epic views of fall foliage. Green Bank is home to one of America's biggest telescopes (nearly 500 feet tall). But amateur astronomers can set up shop in its shadow, checking out the skies above. It opened in 1864 and closed in 1994, and in that time, has built up a crazy amount of spooky energy. There are ghost tours available. If skiing, tubing or snowboarding is your thing, here's where to start. If not, there are plenty of non-snow things to do in this fun mountain resort (like an amazing spa). There are few things prettier than the sight of candles gently lit through the filter of paper bags. Right before Christmas on that last Sunday, Bruceton Mills lights up the town by adorning a long stretch of road with 2,500 luminarias, leading to a local church. This is something everyone should experience to capture that warm feeling inside.